I know this has been debated to death but.... The kingawa td04-20t seems like a cost effective bolt on turbo upgrade for my build. I'm aiming for high 250hp or enough tha I don't kill my m90 gearbox. I would rather not buy a new mani. Is there a better alternative to the bolt on td04 upgrades? Last edited by Maligantblue; 04-12-2019 at 03:36 PM.. They aren't really expensive but for 250 hp you could get away with a 16t.. That is cost effective. Besides.. 20t/td04hl = Compressor/turbine mismatch IMHO. Garrett 50 trim and you wouldn't have to change manifold(less $$ than the 20t), just plane it flat. Correct me if I'm wrong, but I'm pretty sure the turbine housing on the Kinugawa turbos is 6cm or 7cm^2, which is substantially larger than the 4cm^2 that the 15g is... but still small when compared to a Garret t3 with 0.48 AR. definitely run a straight ported or angled housing, none of that conical ****. Would you mind divulging the details on your 250hp setup? I'm going for similar numbers with my 15G. Not sure what it will take, but I'll be using a 15g with ported housing, ported manifold, IPD turbo cam, 3" turbo back exhaust. All on a 1990 745T. Is the flat flanged 6cm and angled flange 7cm^2? 232 Rear wheel Horseypower. 277 rear wheel torques. 12.61 in the quarter mile. OHh yeah almost forgot, weighted in at 2400 dry. Lexan, aluminum hood, scaped out every bit of sound deadening. Cut out side impact beams in the doors with torches. Ditched everthing not needed to run, but still kept everything for street legalities plus extra heavy handling crud, bigger bars and bars added like upper and lowers and bigger brakes even. Last edited by sbabbs; 04-12-2019 at 03:18 PM.. So for interest, the 16t 19t and 20 are all roughly the same price and bolt on. And about <£600 Wondering i its worth getting the 20t rather than smaller. I see you talk about this car all the time and was always curious how much you really removed as far as weight. That's some insight. Was that an m46 car? Any thread on it? I realize it's easy and simple stuff. But for op, that about proves a 15g or better will get you there. Would definitely be the most economical. It was a stock m46 car, but i put a getrag 265 in it and 3.31 ratio rear and no rev limit tune. I could do 120 in third at about 7k. That dyno pull was in third also. Plenty of other vids on my youtube channel. 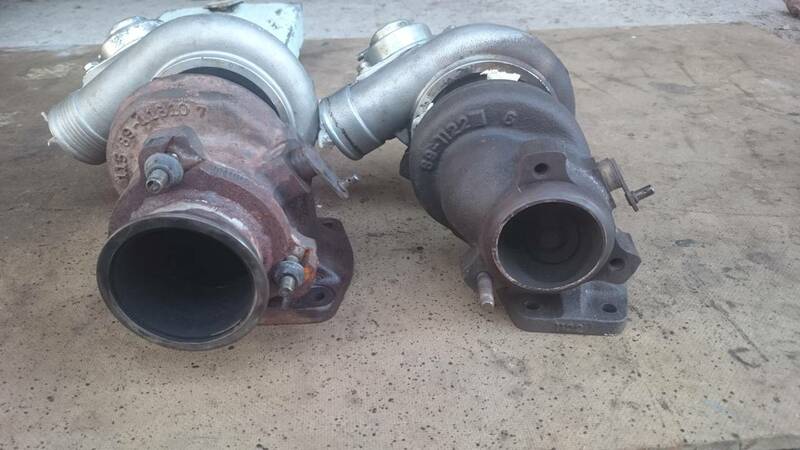 The damage one is the one after the dog dish flywheel exploded at 7k in the burnout box at PIR. I turned a rod bearing in the b23ft so I put in a squirter b230ft and did 12.7 all days till the flywheel exploded. Car is gone now working on getting my 90 745 cut down weight wise for this summer. 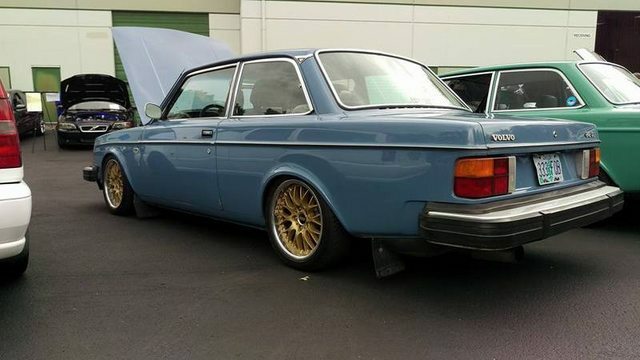 I have a straight 7 hotside that is supposed to be from a volvo 13G. Part # 115 89 11810 7. Left in the pic, right is a conical 6. I just got a Kinugawa 7cm flat flange housing with a clockable 20T compressor, for 799 shipped. email them and they will configure it as you wish. Does 6 and 7 cm refer to the part of the hotside that meets the exhaust? So, if one were grinded out to 3", it wouldn't matter what it started life as? No the numbers refer to the size of the exhaust housing around the turbo exhaust wheel. Nothing to do with the in and out holes. I got a couple flat flange ones I guess I'd better see what size they are. I'm assuming 7 but I'd better check. I got a 19t to put to use here at some point. Yes, as is the one I'm running. MITSU part numbers confirm the area is 7cm2.